We’re sure all mummies out there would agree with us when we say pregnancy is full of ups and downs. Yes, pregnancy’s a beautiful journey, but it’s definitely a tough one! If you think having stretch marks is bad enough, that’s just the tip of the iceberg. Many mothers experience months of morning sickness, swollen feet, blocked milk ducts (ouch! ), backaches… need we say more? If you’re a mum-to-be who’s not having it easy, we’ve lined up some of the best prenatal massages in Singapore for you! Go on, indulge yourself with some well-deserved pampering sessions! Get rid of your pregnancy discomfort at the best prenatal massage places in Singapore! Unlike regular spa parlours, Mummy’s Massage offers specialised prenatal and postnatal massages for all mummies-to-be and mummies. Whether you’re looking to reduce water retention, relief back pain or soothe leg cramps, Mummy’s Massage’s prenatal massages in Singapore can be the solution to all your pregnancy discomfort. Not in the mood to travel? 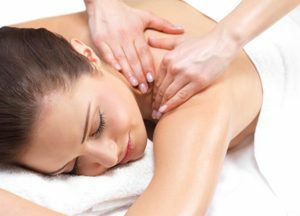 You’re in luck — Mummy’s Massage is able to bring their Custom Massage packages to you in the comfort of your own home! 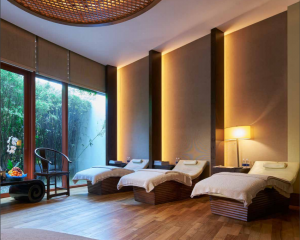 Nestled in the lush greenery of Sofitel Sentosa, So SPA promises to pamper pregnant mothers with their comforting prenatal massage techniques. If you’re staying at Sofitel for your babymoon, then treat yourself to one of their prenatal massages. The Mummy-to-be Cocoon Massage or Mummy Time-Out Massage are bound to leave you feeling lighter and refreshed! Despite having to travel all the way to Sentosa, So SPA is definitely oh-so-worth it! Are you a big believer in Traditional Chinese Medicine (TCM)? Then you should try the prenatal massages at Madam Partum! Boasting positive reviews, Madam Partum promises to ease your pregnancy aches and pains with their effective TCM techniques! Say goodbye to swelling and cramps with their prenatal massages in Singapore! Given birth and find your little one wailing all the time? Bring them to Madam Partum for a soothing baby massage! Without using any needles and medication, their Petriatric Massage helps to improve your little bub’s appetite, boost immunity and more. 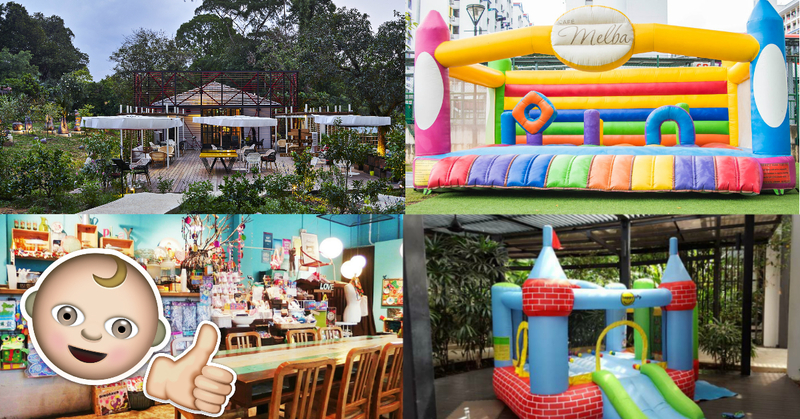 With 10 Madam Partum outlets in Singapore, you’re bound to find one near your home. If you prefer, you can opt for the home-based prenatal and baby massage services but do note that it’ll incur an additional fee. All expectant mothers deserve a recuperative pampering session at Auriga Spa. Located at the Capella Hotel at Sentosa Island, the five-star spa in Singapore uses only 100% organic products from The Organic Pharmacy. Besides helping to ease your pregnancy discomfort, the treatments will leave your skin feeling smooth and supple! With adjustable massage beds and soft long body pillows, rest assured you’ll be kept comfortable throughout the session. Choose from a variety of wellness treatments for mothers-to-be, from tailored prenatal massage and spa therapies to a Couple Babymoon package that also takes care of the dad-to-be! You’ll be pleased to know that both hotel and non-hotel guests are welcome at Auriga Spa. Experiencing muscle and joint aches in your second or third trimester? Well, Babies Bellies is the perfect place to alleviate your pains! Their massages promise to improve blood circulation and release muscle and joint tension — leaving you with that shiok after-massage feeling! Babies Bellies’ gentle massage treatments also help you fight insomnia and sleep better at night. Experiencing poor posture? Fret not, a prenatal massage will relieve the stress on the weight-bearing joints and assist in maintaining a better posture! Many mums-to-be who benefited from their prenatal massage in Singapore highly recommend signing up for their postnatal packages too! Head off now or opt for a home-based treatment with one of the most affordable prenatal massage places in Singapore! On a budget? Head over to Knead for a pocket-friendly but quality pre and post-natal massage service! At only $60, you can enjoy a safe and satisfying prenatal massage in Singapore for 30 minutes! Conveniently located at Holland Village, their therapists do an excellent job relaxing your aching muscles and improving water retention. The best part? The massages are at nett prices and special promotional prices are available from January 2019 onwards if you drop by during weekdays and public holidays! Located in the Singapore Polo Club and open to the public, Lush Spa offers a relaxing prenatal massage that’s performed with an effective anti-stretch mark balm. This balm helps to not only relieve muscle tension but prevent any pregnancy stretch marks! Lie on your side and leave the rest to the therapists who will mainly work on your back and shoulders. With incredibly friendly staff and therapists at your service, you’ll definitely be in good hands here! Make La Source Spa your one-stop shop when it comes to prenatal massage in Singapore. Tired pregnant mums can look forward to their La Prenatal massage. With slow, steady strokes, the prenatal massage helps release muscle pain, ease swelling feet and reduce water retention. If you’re keen for a more luxurious spa experience, La Source Spa offers four add-ons you can choose from — Body exfoliating treatment, Jacuzzi Bath, Aroma Bath Bubble or Himalayan Salt Bath. 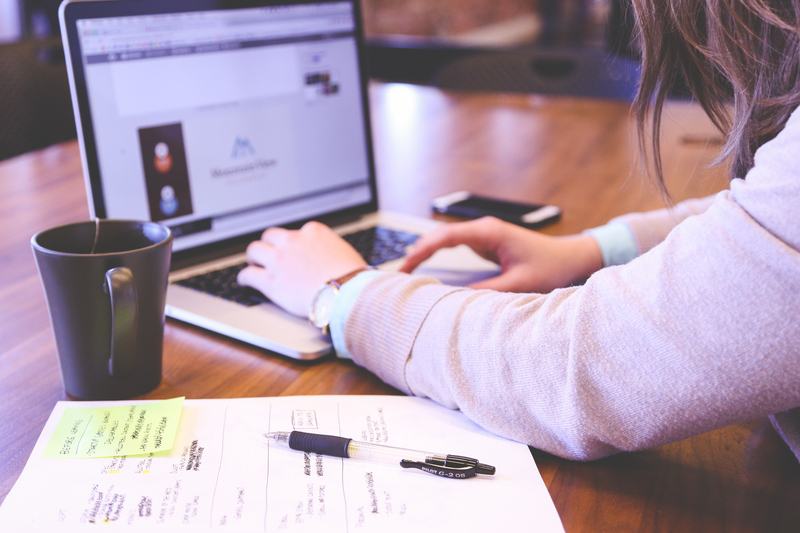 We suggest checking with their helpful staff and even your OBGYN to determine whether these upgrades are suitable for you. As its name suggests, Beauty Mums & Baby offers specialised services for mummies and babies! Pregnant mamas, you’re in luck! 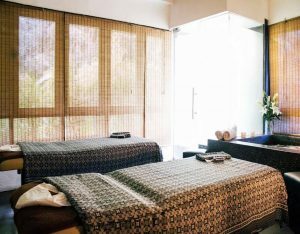 Experience a prenatal massage like no other, with skilful therapists (specialised in TCM and Javanese massage techniques) focused on providing the best massage experience. Their prenatal massages are done on special massage beds, designed for maximum comfort for ladies with a bump! Keep Beauty Mums & Babies in mind even after you’ve given birth as their postnatal services are also one of the best! From lactation massages to baby massages and baby care workshops, you can be sure that you and your bub will be given the best care and support here! 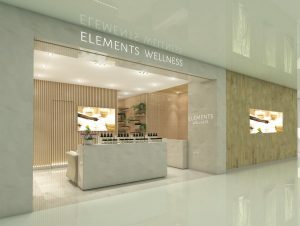 Put yourself in the safe hands of the therapists at Elements Wellness Group! This award-winning spa offers soothing prenatal massages with each spa location providing a different ambience and concept. Depending on your pregnancy needs, the therapists may recommend a Swedish prenatal massage or a pressure point massage to ease your muscle tension and improve blood circulation. With their heavenly prenatal massages in Singapore, you’ll find that being pregnant won’t feel so taxing after all! If you’re past the first trimester, try AFOND Spa for yourself and see what the rave is about! Providing prenatal massages in Singapore for over 16 years, their treatments help alleviate pregnancy discomfort and improve your mood, benefitting both yourself and the baby. Speak to their staff about your pregnancy issues and they’ll suggest the best prenatal massage for you. Have any questions regarding pregnancy? The therapists are also able to offer useful advice on pregnancy diets, exercise routines and more. Babies Laughter brings prenatal massages to the comfort of your own home in Singapore. Apart from relieving various pregnancy pains and muscle tension, their prenatal massages help prepare mums-to-be emotionally and mentally for childbirth. What’s more? The therapists use specially blended massage oils containing Vitamins A and E to protect your skin against free radicals, leaving it soft and supple! We love Babies Laughter because there’s no need to travel! And besides, who wouldn’t want a good nap right after a prenatal massage? With Babies Laughter’s services, you’ll get to enjoy all of that! Most of your time will be invested in your baby once he or she is born, so enjoy some me-time while you can! Take care of yourself and you’ll have sufficient energy to care for your little one! If you’re looking to book prenatal massages in Singapore for your loved one who’s a mum-to-be, send this guide to her! Attending a baby shower? Be sure to check out our list of baby shower gifts for some inspiration! Otherwise, get one of the best baby monitors in Singapore to help your mummy friend keep an eye on their little one at all times!